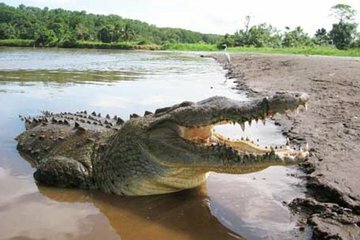 Combine a wildlife cruise with an afternoon at the beach on this full-day tour from San Jose.Head to the Tarcoles River for to look for crocodiles and other Costa Rican wildlife during a fully-narrated river cruise. Then relax at a Jaco Beach hotel where you have access to the hotel facilities and a pristine beach on the Pacific Ocean. Includes lunch and transfers from San Jose.